The lectures are widely advertised and usually attract a large audience not only from Prague but also from Bohemia, Moravia and even Slovakia. The past Colloquium Lectures covered most of the branches of mathematics (mathematical analysis, geometry, algebra, number theory, combinatorics, set theory, functional analysis, mathematical physics, probability and theoretical computer science and applications). It is believed that some of the talks were extraordinary. Some of the talks were organized with other Prague institutions (Mathematical Institute of Charles University, Mathematical Institute of the Academy of Sciences of the Czech Republic, Institute for Theoretical Studies of Charles University) or with University of Ostrava. 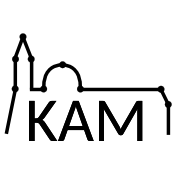 The organization of the Colloquia were made possible by generous support of KAM and our University and Czech grants.